The first stunning vessel of Crystal River Cruises, the World’s Most Luxurious River Cruise Line™, has earned top recognition from one of the most distinguished authorities on luxury lifestyle. According to Robb Report, Crystal Mozart is among the “Best of the Best” travel experiences available to discerning travelers, in a spotlight piece that highlights the return of “slow travel.” Crystal Mozart debuted for Crystal River Cruises in summer 2016, marking an entirely new standard of luxury on the rivers of Europe and in the river cruising industry overall. The elegant vessel is appointed with the plush amenities, butler service, Michelin-level culinary options, and unsurpassed crew-to-guest ratio for which Crystal has been celebrated for more than 27 years. Robb Report’s annual “Best of the Best” guide highlights the world’s finest new automobiles, yachts, hotels, watches, wines and much more, including exclusive travel experiences. The complete guide is published in the magazine’s June 2017 issue, available now. River cruising has always represented a relaxed, elegant manner of travel, boasting numerous opportunities to disconnect and immerse oneself in new cultures. With the launch of Crystal Mozart, Crystal River Cruises focuses on elegance and seamless luxury on board, and exclusive, inclusive experiences ashore that suit virtually every type of traveler. 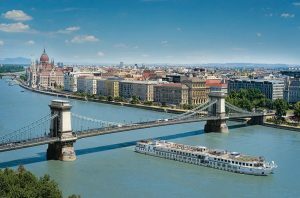 With dozens of complementary options that explore various facets of each destination, as well as optional expanded shore-side options, guests can enjoy the exact European river voyage of their dreams. Since embarking on her maiden voyage in summer 2016, Crystal Mozart has earned the acclaim of the world’s most discerning travelers and experts alike. Crystal’s acclaimed butler service is offered for every room category, along with plush king-sized beds, ETRO robes and slippers, wall-mounted flat-screen HD TVs, and Nespresso machines. Additional enticing features include complimentary shore excursions, Michelin-inspired, farm-to-table dining in multiple, open-seating eateries, and a full-service spa and separate fitness center, equipped with modern machines and cardio equipment as well as free weights. Crystal Mozart also holds the distinction as the most technologically advanced vessel on Europe’s rivers. Throughout the ship, digital signage puts available services and port information at guests’ fingertips, including weather forecasts for the day, available spa appointments and dining reservations. Each suite offers Apple® iPad devices that serve as Digital Directories for virtually all of guests’ on-board needs, from dry cleaning and butler service to room service and dining reservations, as well as concierge and Crystal Adventures inquiries. Bathrooms also feature TOTO Washlet personal cleaning systems, offering heated seats, automatic open/close, aerated water and warm air dryer. As Crystal continues forward with its groundbreaking brand and fleet expansion, Crystal River Cruises prepares to welcome the next member of its family. Crystal Bach – the first of the all-suite, all-balcony “Rhine Class” quadruplet sister river yachts – will embark on her maiden voyage in August of this year. By sea, river, land and air, Crystal has redefined the way the world views luxury travel. Crystal Cruises is the World’s Most Awarded Luxury Cruise Line, having earned “World’s Best Cruise Ship” in Condé Nast Traveler’s Reader Choice Awards for 23 years; been voted “World’s Best Large Ship Cruise Line” by Travel + Leisure readers for 20 years; and the “Best Luxury Cruise Line” by travel professional organization Virtuoso for three consecutive years (2014, 2015 & 2016). The newest and upcoming extensions of the celebrated Crystal brand include Crystal Yacht Expedition Cruises, Crystal Luxury Air, Crystal River Cruises – The World’s Most Luxurious River Cruise Line – Crystal AirCruises and Crystal Exclusive Class with Crystal Residences. Crystal is proud to be a platinum partner of the professionals of ASTA.